When I think of Montmartre in Paris, my first image is romantic but touristic. As much as I love the view that opens up from this famous hill, I have often felt a bit lost there when it comes to food and wine. Also the crowds in high summer can be pretty unbearable. But if you take a closer look, it’s just a bunch of streets near Sacre-Coeur where one can barely walk. And for wine & food, I have found two little gems on both sides of the hill. Try Pratz and La Rallonge when in Paris next time! 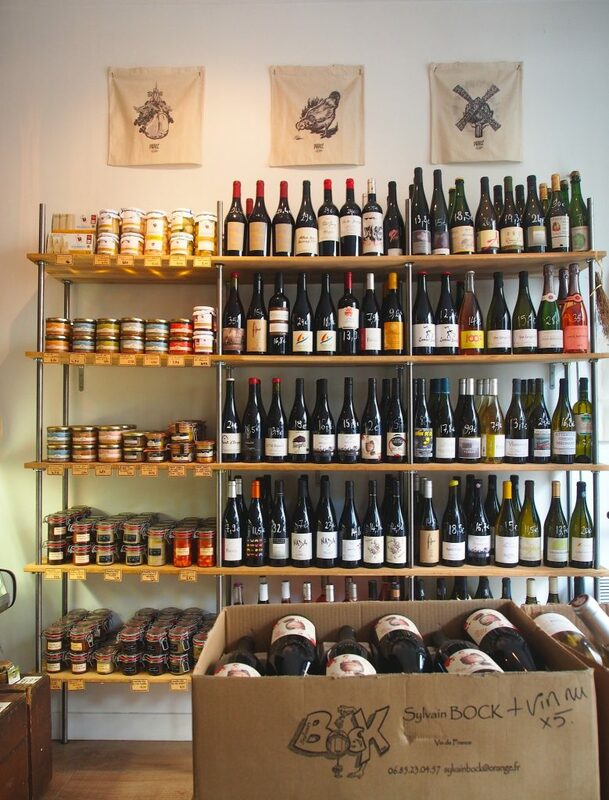 Just below the Montmartre hill, and some further steps downhill from Pigalle, Pratz is one of the nicest caves à manger (a mix of a wine bar/shop and restaurant/deli) I have bumped into in Paris. 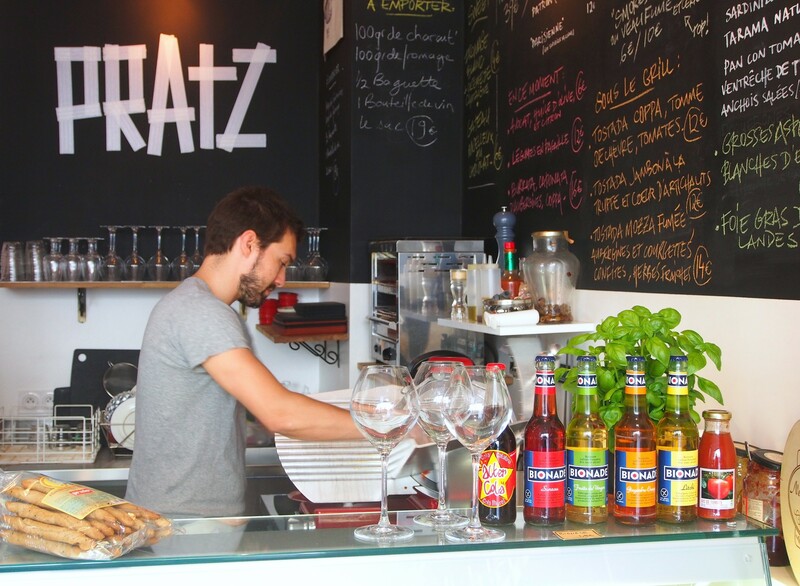 If you are a fan of natural wines and simple yet tasty tapas and charcuterie, Pratz is your place. 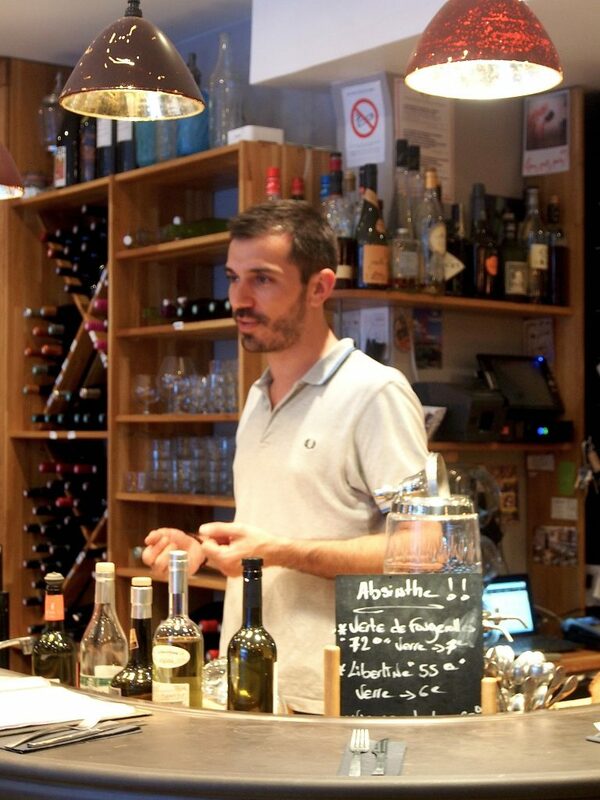 Half-Catalan owner Thomas Babot shines with his passion and knowledge for wine, and is a great guy to chat with. Dishes, sandwiches and baguettes are prepared in an open kitchen. If you are in a hurry or heading for a pique-nique, just grab a bag of cheese, charcuterie, baguette and wine with you! I still remember my first time in Pratz. A classic midday hangover exactly two years ago. 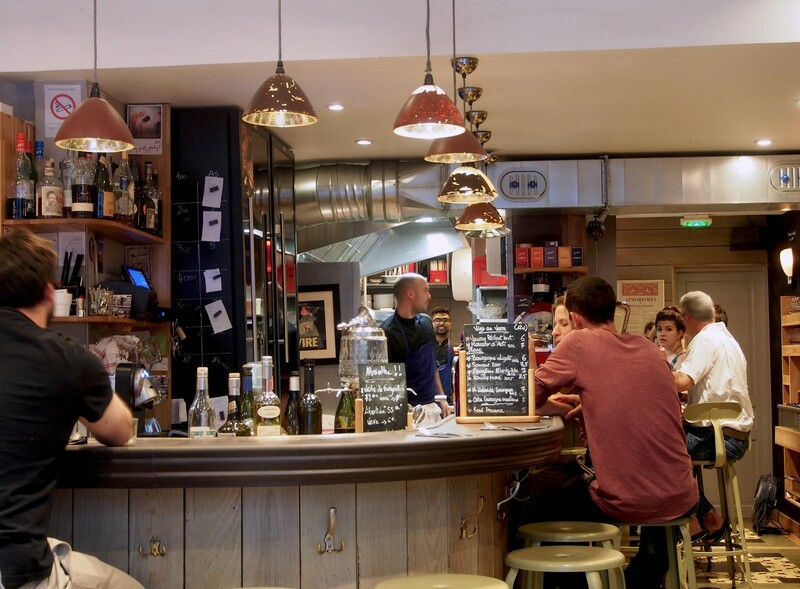 On a worktrip with a photographer and a chef, we were browsing Parisian wine bars for our article, with an impossibly tight schedule I had set up for us. Needless to say, if you are short of time with that kind of article, your evening is doomed to be a long one (exactly what had happened to us the night before). But as we opened the door of Pratz and saw Babot’s smiling face, life suddenly seemed a lot brighter. Ordering an entire pan-fried Reblochon cheese with a glass of Louis Barthelemy‘s Amethyste Brut champagne, I felt like coming home. For that immemorably greasy and bubbly saviour breakfast, I still owe a big thanks to one of the hearties characters in Finnish wine circles, Tuomo Laitinen (the sommelier & importer at Carelian Wines) who suggested Pratz to me. Great connoisseur of natural wines, he apparently knew what I would love. Despite its tiny size, there is a beautiful light inside Pratz, even on cloudy days. If you like affordable natural wines and tasty preserves, Pratz is a great place to pop by (many locals come here to buy things to take home). Yet the atmosphere is so inviting that I prefer to stay for a glass or two. The selection by glass varies, so ask Thomas what he has in mind for you. About 10 wines are available by glass. My last time in Pratz was also cozy. A hot late summer day in Paris, I popped in for some tapas and white wine before climbing up to Montmartre for sunset. There was a lot of luck on the way since Pratz was just about to close for summer holidays. It became a perfect lazy afternoon moment again. 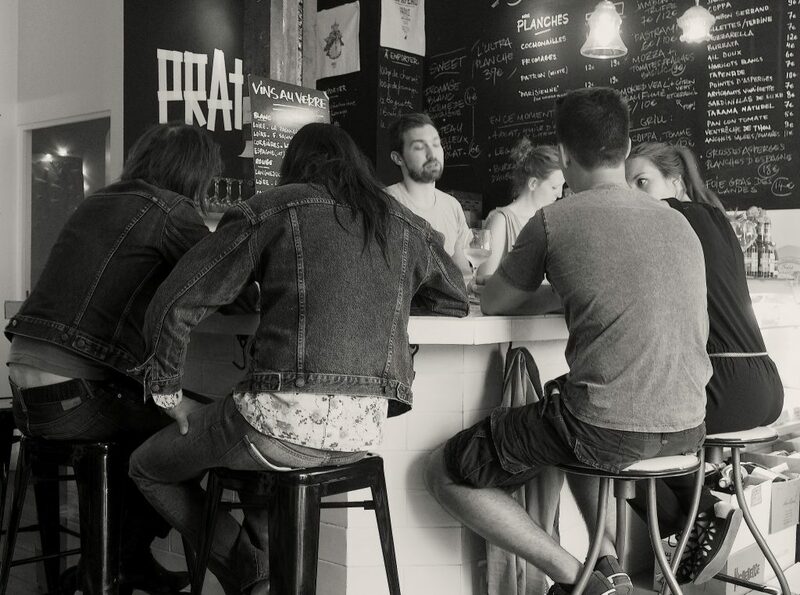 Even though other customers always seem to know each other, at Pratz you nevel feel an outsider… and that’s the skill of a restaurant; creating such an atmosphere. 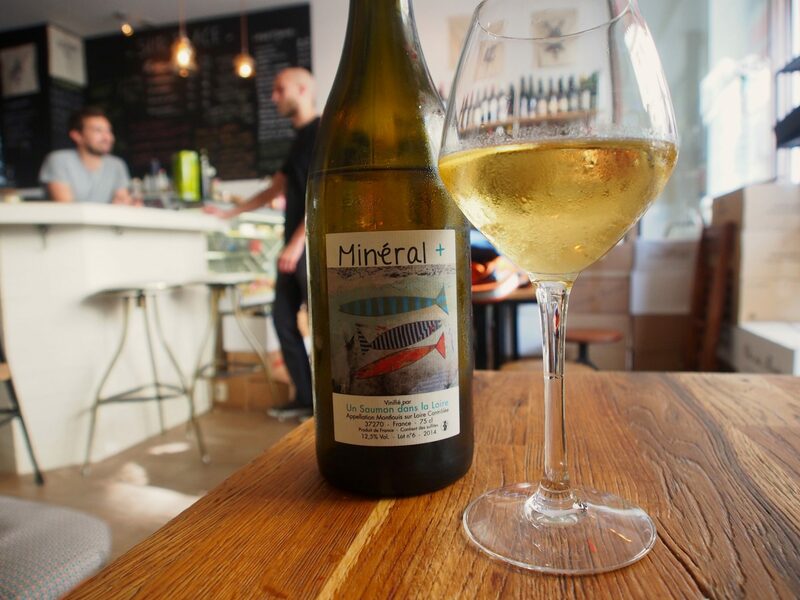 As my one-month stay in Paris was well past its half-way mark, I ended up buying a bottle of very young and tight anjou blanc, Nicolas Reau‘s Attention Chenin Mechant 2015 to take home. 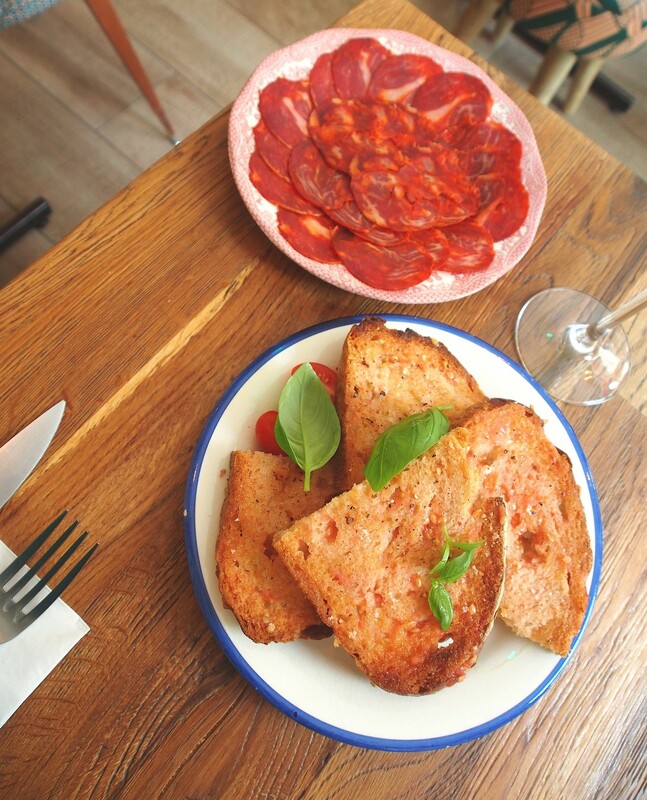 Spicy chorizo and perfectly succulent pan amb tomaquet – what else do you need to be happy…? 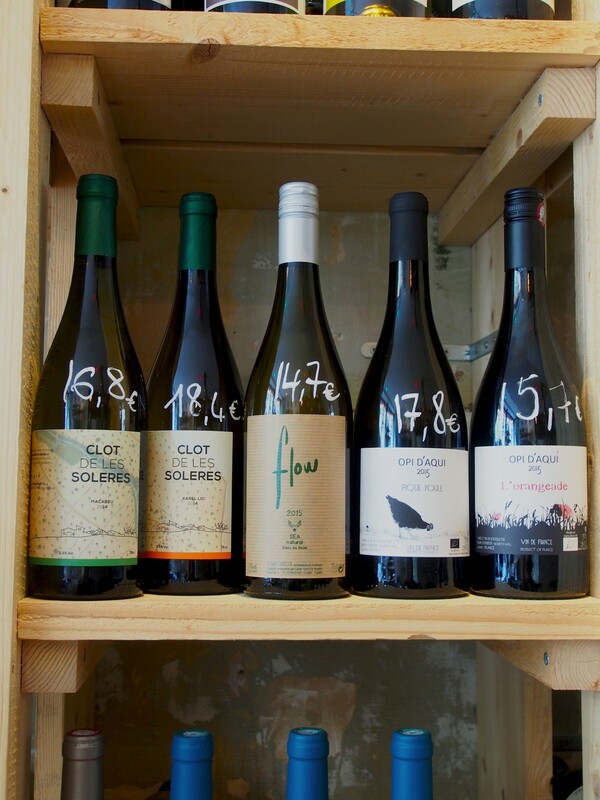 As you would guess, Pratz concentrates on French natural wine, but Thomas’s Catalan roots are visible in his wine selection as well. I fell for Clot de Les Soleres when I tasted it for the very first time at Casa Xica in Poble Sec, Barcelona. Unpretentious Pratz is a popular lunch spot among local people. Next time I’ll try it in the evening. …and boy, it was!! Two days later on the opposite side of the Montmartre hill, La Rallonge managed to steel our hearts during our shortish visit. Arriving too early, a smiling guy opened the door and asked us to return at seven. No problem, as we got to explore a part of Paris still quite unfamiliar to me. And this rear side of Montmartre turned out to be just lovely: a charming, somewhat ethnic residential neighbourhood with no traces of tourists. Half-Spanish Kevin Encenas is in charge of La Rallonge’s restaurant hall. Amazingly sweet guy we definitely want to meet again! There is a lot of Iberian influence on the menu. Like at Pratz, also here you can enjoy first-class chorizo… and one of my fav dishes of all times, pulpo a la gallega. Punctually at seven we stand at the door, hungry and excited. The first moments we talk with Kevin, I can clearly understand why Thomas recommended this place. Both guys have a stellar attitude when it comes to being with the customers. And insider tips are always the best, since to be honest, I had not heard of La Rallonge before (even though it is the more informal “little brother” of popular fine-dining mecca La Table d’Eugene, just a few doors away). As the dishes are not that big, La Rallonge is a perfect place for nibbling this and that. 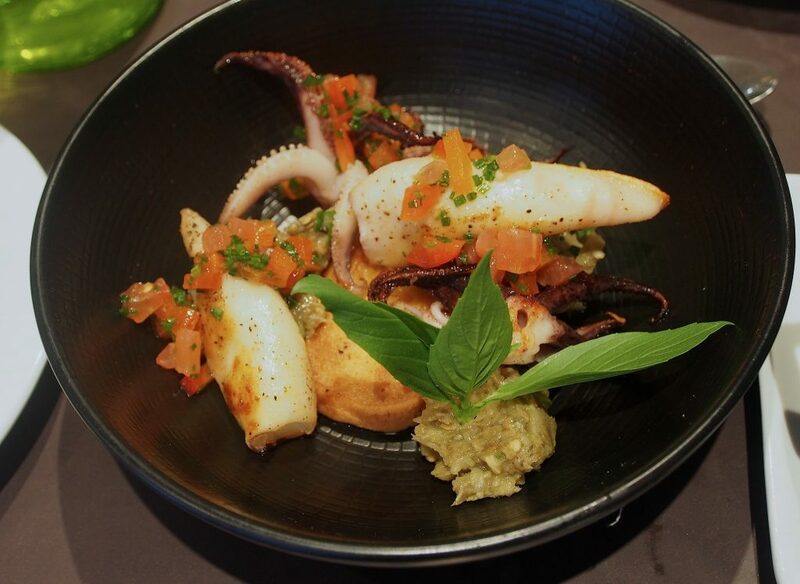 We start with squid. Still 30 degrees outside, it is a wonderfully fresh opener for our evening. 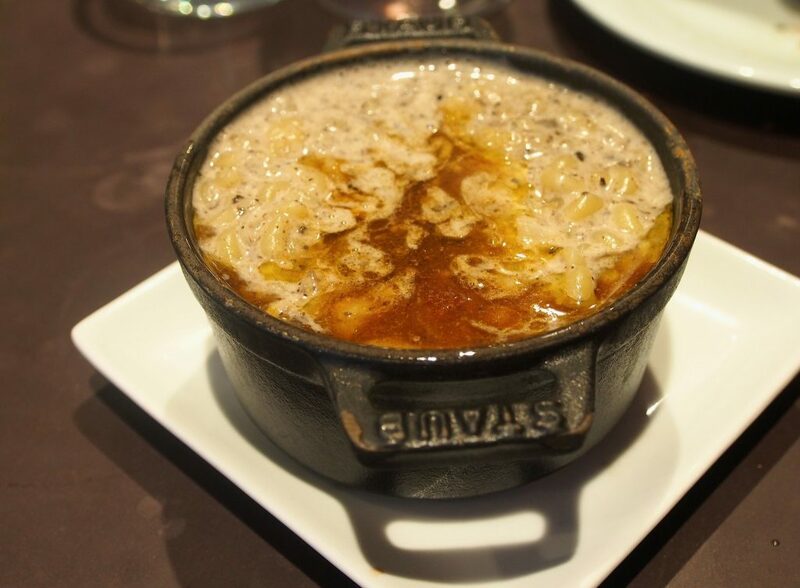 Our second choice, instead, is far away from summery: hot and steamy… and with one of the best broths ever! When brought to the table it looks like risotto, but in that very moment we realise it’s a risotto-looking thing made of tiny macaroni. I look at Anu, slightly suspicious, but the moment we taste it, we both fall dumb. That supersimple portion is so astonishingly delicious we need to order another one to share. Looking back now, I still haven’t managed to figure it out how come that “risotto” was so tasty. In fact, the dish was so good that I instantly forgot the name of that nice pétillant Vouvray we drank with our dinner. Nevermind; life would be boring if one always had to analyse every wine to bits and pieces (and in the wine context Pratz is more to my taste). THIS is the dish we kept talking about for several days. Unfortunately, short of time as there was a party about to start at another cave à manger in the 2ème, we had to leave La Rallonge way too soon. But taking a quick peek at the wine list, I already knew I would be back, perhaps enjoying some Galician godello next time? So those who still stick with saying that one gets rude service in Paris must live in another reality or hang around in wrong places near the major touristic attractions. At least I have always been treated nicely everywhere in Paris. And Pratz and La Rallonge are in star-class category when it comes to service. Big thumbs up for both places. EDIT (December 2017): Unfortunately Kevin does not work at La Rallonge anymore. Pratz: 59 rue Jean-Baptiste Pigalle (Paris 9ème). Tue-Wed 17–23, Thu-Fri 11–15 and 17–23, Saturdays 11–23. Tel: +33 (0)1 77 10 67 03. Metro: Pigalle (lines 2 & 12). La Rallonge: 16 rue Eugène Süe (Paris 18ème). Tue-Sat 12–14:30 and 19–23. Tel: +33 (0)1 42 59 43 24 or book here. Metro: Simplon (line 4) / Jules Joffrin (line 12). Always when reading about your adventures in restaurant world, I get hungry !